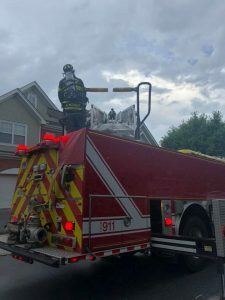 On June 28 at approximately 0715hrs, Station 49 was detailed to 8 Heather Court for a smell of gas. 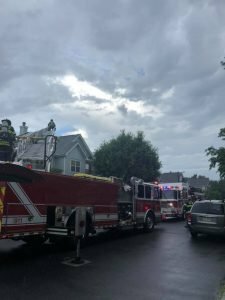 Upon arrival of Chief 49 and Assistant 49, crews were informed that the house smelt like gas secondary to lightening strike. 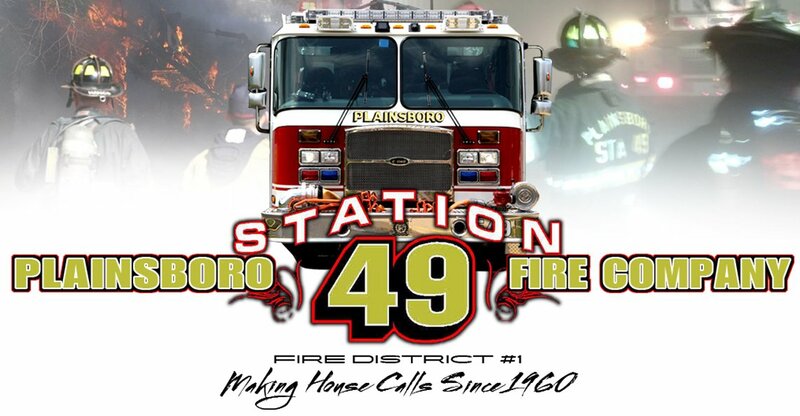 Squad 49 and Ladder 49 arrived and confirmed damage with odors of smoke and gas present. 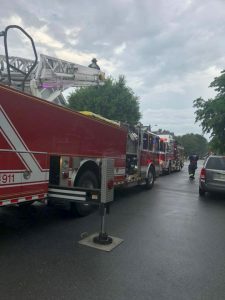 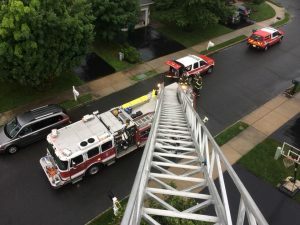 Princeton Junction Engine 44 was upgraded as the next due engine, while Squad 49 stretched a precautionary dry line and Ladder 49 raised the stick to the roof. 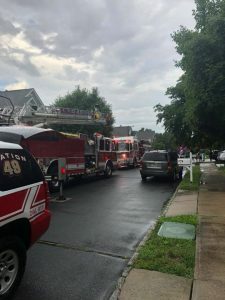 Crews had to pull some insulation in the basement and were required to turned off electric and gas. 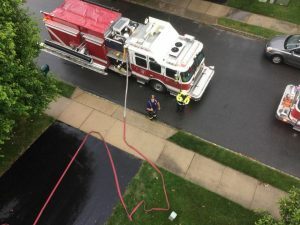 The scene was turned over to Plainsboro Twp building and electrical officials due to the damage from the lightening.